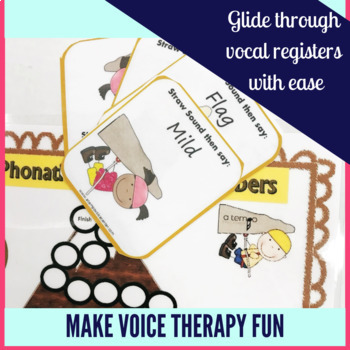 Voice science techniques easily accessible for the real-world speech therapy setting. 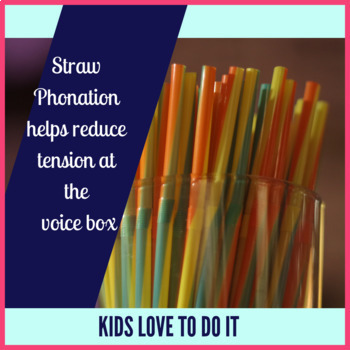 Use straw sounds to help reduce tension in the voice box. 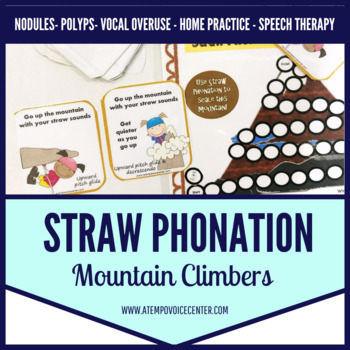 "Straw Phonation Mountain Climbers" for Voice Therapy uses Straw Phonation and back pressure in the throat (inertive reactance) to help kids with nodules, polyps and vocal overuse patterns improve speech and voicing. 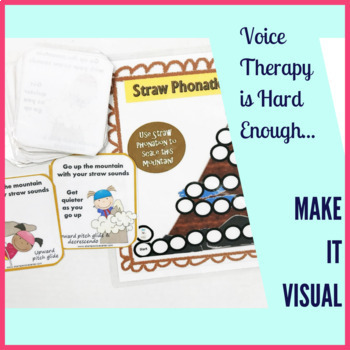 Add sound and air through a straw to prepare the larynx before removing the straw and speaking words and sentences. Teach it also as a rescue technique. -Includes fun game board and game pieces themed with package to help vary the sounds and tasks for this skill. Over 80 kid-friendly colorful cards.